Shirley Acevedo Buontempo, Founder, Executive Director, Latino U College Access, Inc.
Throngs of students clad in familiar red and white robes sat in front of the small stage. Their tassels swayed as they glanced at one another or shifted for a better view of the podium. Over a loud speaker, the crowd was introduced to Kevin Tejada, one of Fox Lane High School’s leading scholars of 2013—an especially impressive distinction considering just five years earlier, Tejada had come to the United States from Guatemala speaking almost no English. The crowd cheered as he walked forward. He stood before the class of graduating seniors and referenced the fairy in Peter Pan. Tejada was the first student to participate in Latino U College Access, a nonprofit created by Shirley Acevedo Buontempo. She founded the organization in 2012 to increase college enrollment of first-generation Latino students. Based in White Plains, New York, Latino U serves Westchester County, an area with significant wealth disparity, experiencing the same demographic shift as the rest of the country. The 2010 census indicated Westchester Hispanics had a nearly 44 percent increase in population growth since 2000. Composing 26 percent of the student population, Hispanics are the fastest-growing group in the county’s schools. Seven districts have a student body that is 50 percent or greater Hispanic. It’s a perfect place to scale Latino U’s model and demonstrate how it can empower a community. 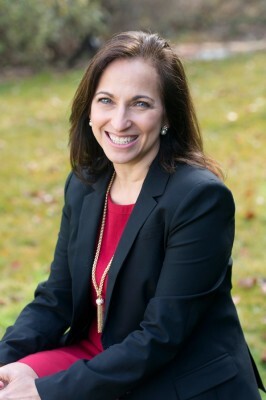 Acevedo Buontempo studied this problem while working on her master’s degree and has observed it firsthand in her work as Latino U’s executive director. She has come to the understanding that being a first-generation student shapes the way Latino youth regard and are able to succeed in college, sometimes in unexpected ways. “For the students we serve, it’s not their grades or academic ability that prevents them from reaching their goals,” she insists, “it’s the complexity of admissions and the financial aid process that leads to poor choices and decisions.” Without the guidance of an adult who has attended higher education, college resources can be a mystery. College-bound students need access to resources like SAT preparation and essay coaching as well as guidance to navigate college applications, financial aid processes, and scholarship forms. Without knowing how or where to find these tools, students often apply to less selective institutions, or even lose their drive to apply completely. Latino U’s programs have three goals: inform, guide, and support. The group doesn’t stop at simply telling students how to apply. Students are paired with volunteer college coaches, and Latino U keeps in touch with students even after they’ve begun their studies to ensure that they have the information and tools to continue to succeed in college. Partnerships with local public libraries, universities, and businesses have enabled Latino U to deliver programs in more communities. While they have been on a small scale, the program’s impact has already been significant. Students in the Latino U program have successfully applied to colleges and received scholarships to attend state, private, and Ivy League universities. In the spring of 2014, Sandra Camilo Rosado received her acceptance letter from Boston University. The first in her family to attend college, she moved to the United States from Ica, Peru when she was eight years old. Rosado is one of many students contributing to the rise in Hispanic graduation and college attendance rates. And those rates are projected to continue growing.